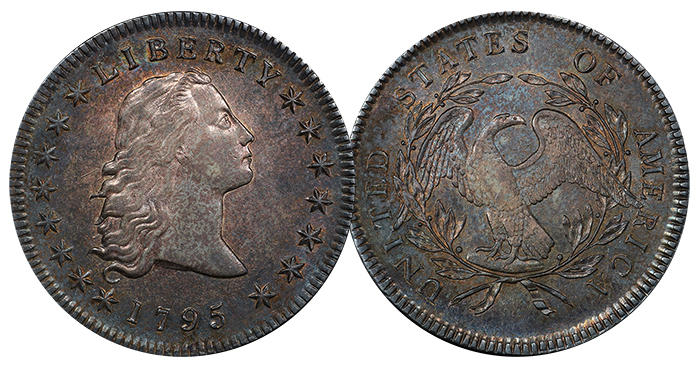 Lot 2082: 1795 Flowing Hair Silver Dollar. BB-27, B-5. Rarity-1. Three Leaves. AU-55 (PCGS). Other AU55s have traded hands in recent years at prices from $17,000 to $30,000. 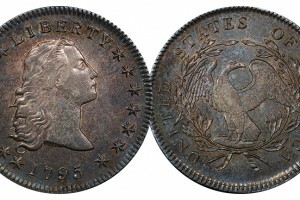 For issues of this vintage, the quality of the individual piece trumps the grade stated on the label (although it is an important factor that is baked into the buyer’s calculus, for sure). This particular piece excels in terms of eye appeal and we would not be surprised if it pushes well beyond the $30,000 when the final hammer rings at Stack’s Bowers October 2018 Rarities Night Session. Read more at Coin Week.